George Lewis Jr., the creative mind behind indie pop act Twin Shadow, performed his new album Eclipse this past Friday, Mar. 27, at Terminal West. In the first few moments of the night, Lewis embraced the large sold-out audience while ruminating on past performances at the Earl. The entire time, the singer wore the merchandise hat of Lolawolf, the opening act, in support of their accompaniment throughout this tour. The mid 20s to early 30s hipster audience bequeathed head bobs and arm movements to go along with the songs, which was a slight disconnect from Twin Shadow’s extravagant stage presence, stripe on stripe leather wardrobe and light show that centered on an open cube. While Twin Shadow is still relatively unknown in the popular music community, the singer is in no way unfamiliar with the industry itself. It has been three years since the release of sophomore album Confess, and five years since Lewis Jr.’s debut album Forget, and the release of this latest compilation only signifies the upward momentum that the act has acquired in recent years. Eclipse as an album is a narrative about the dance of falling in love and the heartbreak surrounding falling out of love. As the main force behind the music, Lewis Jr. sings and plays guitar and is supported by a drummer, a bassist and a keyboardist. His music has been classified as synthpop and chillwave with an underlying nod to 80s radio hits. 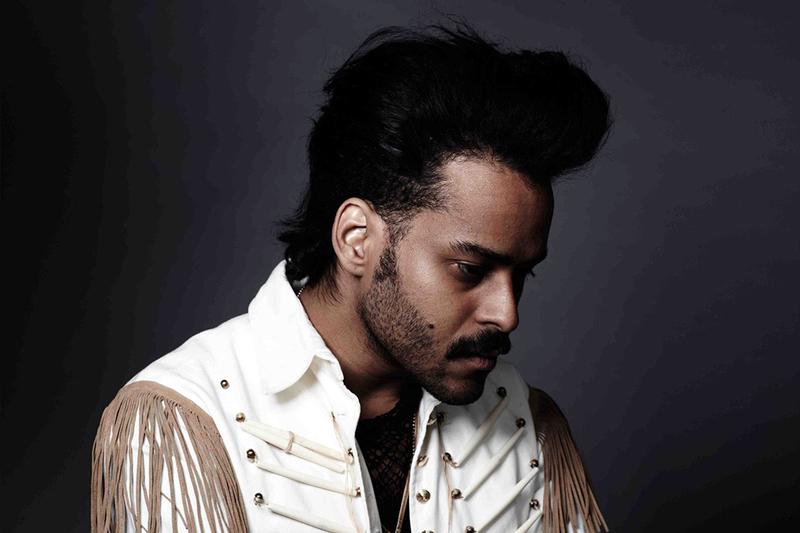 Among the indie spectrum, however, Twin Shadow lies more within the indie pop genre in this new album and strays away from his past two albums, with an obvious look towards generating a wider audience and gaining substantial popularity. Right after finishing Eclipse, Lewis Jr. moved from indie label 4AD to Warner Bros. Records, an act some loyal fans from the beginning might still see as a betrayal today, but served as a way to further evolve and get his point of view heard by the masses. Despite his views on genre, however, there is no doubting that Twin Shadow’s latest music is making waves among the indie pop fan base. As far as his actual songs go, on Eclipse, anthem-esque tracks such as “To the Top” have catchy repetitive lyrics (“Oh I know it’s not the right time tonight/But I won’t move until this stops/we go back to the top/Oh oh/Back to the top”) and a decidedly inspirational tone. “Old Love/New Love,” one of the artist’s more popular recent entries, also plays with a repetitive assemblage of beats and sounds, with a powerful chorus delivering the song’s theme, heartbreak. At Terminal West, Twin Shadow ended the show with a three set encore, including an acoustic solo piece. As a whole, the band brought a night of nostalgic romance to Westside Atlanta, reminiscent of a John Hughes’s classic movie ballads but with a 21st century flare. Born out of the traditionally labeled “indie” scene yet unconfined by its boundaries, Lewis Jr. has proven that he is here to stay, and welcomes a new audience as he evolves both as an artist and performer.